The Camry is a well-known sedan, offering quality, dependability, and style. This model has also been redesigned for the 2017 model year to include innovative technologies, tons of space, and a fuel-efficient powertrain. In fact, the 2017 Toyota Camry may just be the perfect summer vehicle. Here’s why. With the right combination of power and fuel economy, summer driving is more enjoyable. You’ll save money at the pump—perfect for long road trips—while excellent acceleration will provide a sporty ride that anyone can enjoy. The Camry seats up to five, with a cargo capacity of 15.4 cubic feet (with the seats up). The total interior volume is 102.7 cubic feet without the moonroof. The interior comes with dual-zone auto climate control to keep everyone comfortable, while Entune™ Audio will improve entertainment with a multimedia bundle and 6.1-inch touchscreen. Other premium options include Qi-compatible wireless smartphone charging, a backup camera, and leather-trimmed seating. 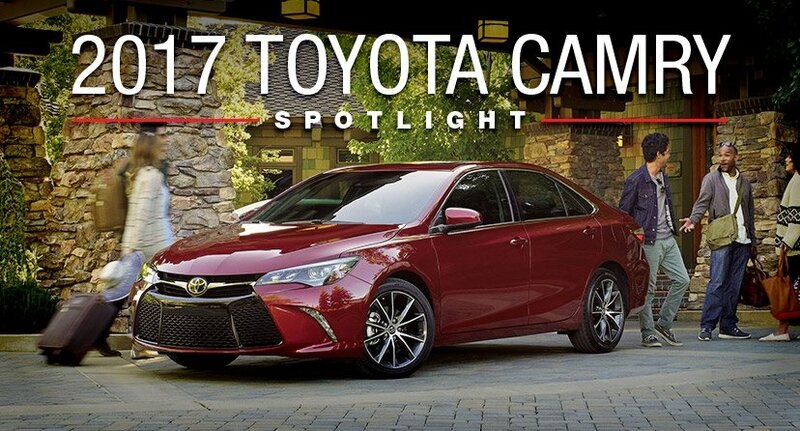 The 2017 Toyota Camry is perfect for long trips this summer, as well as your everyday commute. Learn more about this model by stopping by Lancaster Toyota for a test drive. As soon as you get behind the driver’s seat, you won’t want to leave.